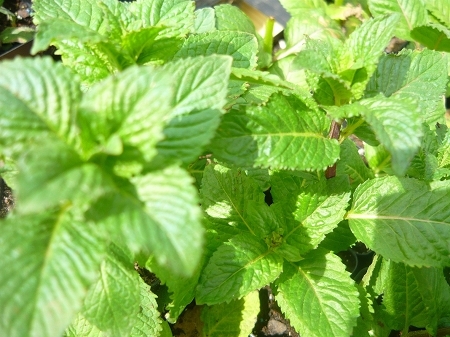 Margarita Mint (menthe 'margarita') Hybrid mint from the Westerfield collection, Large dark green squared leaves with a bold and spicy lime mint scent and flavor. Useful culinary mint and tea mint. Beautiful large leaves used as a garnish for drinks (like margarita's! ), desserts, and salads. Perennial zones 5-9. Live plant in 3 inch container.